Have been to many many blogs and saw that many have been posting and thanking people that have made a difference in their 2008 year. 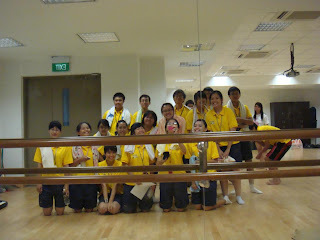 Haha, thanks for making a difference in my life since the Sec3 camp. Yeah, we have really been through many many ups and downs in life and thanks for always being there when I needed someone the most. Yep, there have been fights and all, but let's continue to help each other in our studies okay! And yea, I'm still trying to strike a balance. So give me time. 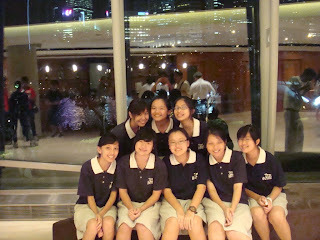 Hahah, without the committee, i don't think that the YTVC'08 camp this year will be so successful :D And I won't be so bonded to choir too. 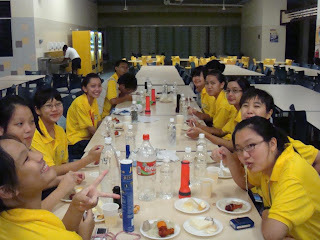 ShuHui, Judith, Yanting, Claudia, Whitney, Hui Sze. 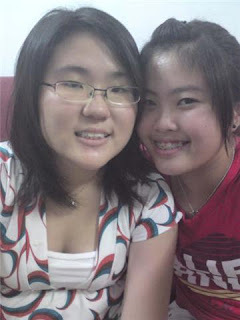 Super love it when we go for lunch tgt and we talk for a long long long time. 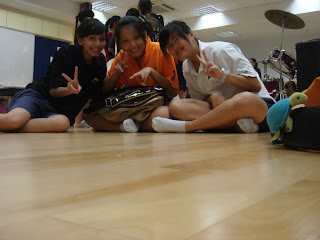 To Shu Hui, Judith and Yan Ting, I really miss the times when we were tgt during NDP. 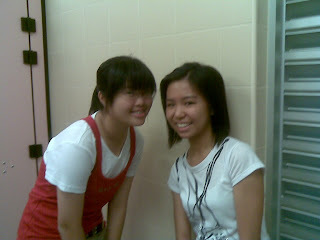 Haha, and we would laugh at the super gay bandanna guy and eat tgt. Okay, the above line does sounds stupid. But yea, without the 3 of you, 3e4 would have been very different. 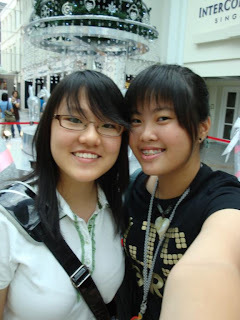 Love the times we were tgt and we would sit ard and chat tgt. 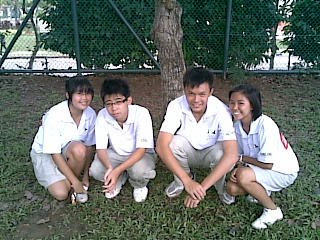 Have been so long since the 4 of us have been tgt already. 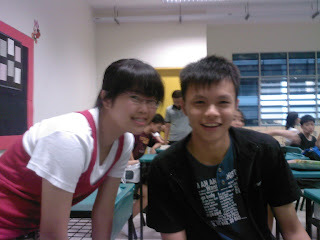 Haha, I think its only this year that we are like so close tgt. 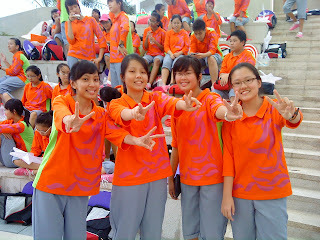 I think its super fun lah, when all of us are tgt, esp when we went to the Zoo early this year. Rained the whole day, but still fun. Still remember that we were quite close early this year, but after the committee stepped up and everything, we kinda drifted apart liaozxzxz. 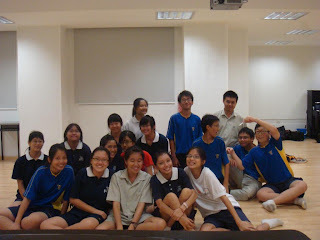 I will never forget the time when Stella and Amanda first joined choir then Claudia and I were talking to you to. Then suddenly, the four of us became so close. 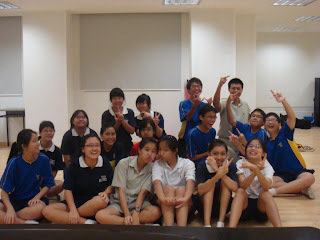 Theres actually quite some people that I wna thank, but don't have their photos. 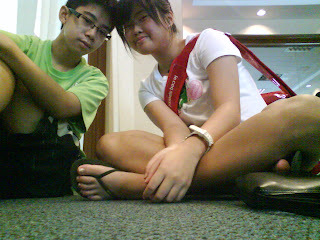 Oh yah, was browsing through choir multiply just now. Choirens, go and have a look.